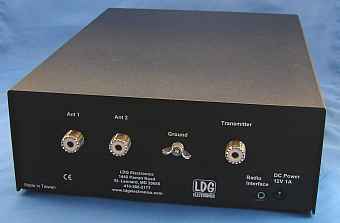 The LDG YT-1200 is suitable for use with the FT-450(D), FT-950, FT-DX1200 and FT-DX3000. In contrast to the built-in tuners LDG tuners offer various benefits: less power consumption though latching relays, larger tuning range (typ. 4 to 1000 Ω) and faster tuning. Supplied with the tuner is a cable which provides power and CAT data from the radio. This allows for very convenient tuning - just press the 'Tune' button on the tuner. The radio will be switched to CW, the power is reduced, then the tuning process starts. After tuning the radio is reverted to it's previous mode and power setting. Dimensions: 120 x 43 x 130 (WHD). Weight: approx. 300g (without batteries). 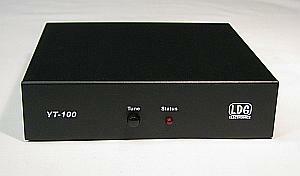 LDG KT-100 Automatic tuner for Kenwood. 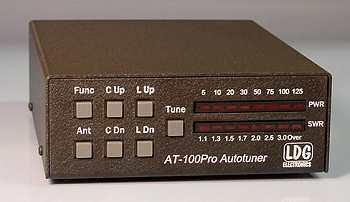 The KT-100 is a external Tuner for Kenwood Radios with Tuner Socket. The KT-100 does everything that is needed for the tuning alone. You only need to press the Tune button on the transceiver and the tuner will does the rest Specifically, this means the transceiver is controlled to 10W back, switched to CW and sent a carrier. 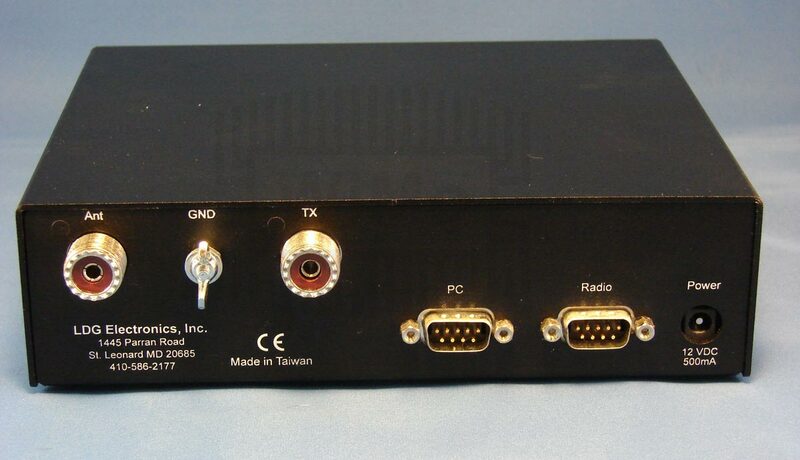 The Tuner is connecting with the supplied cable directly to the tuner socket. The power supply is also trough this connection. 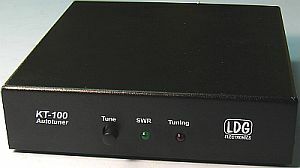 Special TS-480HX: If an external tuner is connected to the Kenwood TS-480HX transceiver, the output power is automatically throttled to 100W. 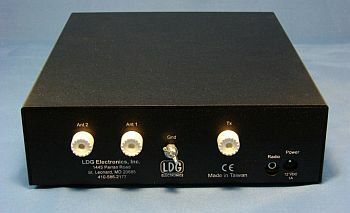 The LDG RT-100MK2 is a 100W automatic antenna tuner for split installation. For maximum flexability, the user has the choice of many battery options; internal or external. There are solder pads on the PC board for the user to install a battery pack (not included) that best suits their needs. You could use 6 AAs and get several years of operation. If weight is a factor (for back packing), then three Lithium AAs will last about a year. If you just need a few months, the Z-11Pro-II will operate fine off a single 9V battery. 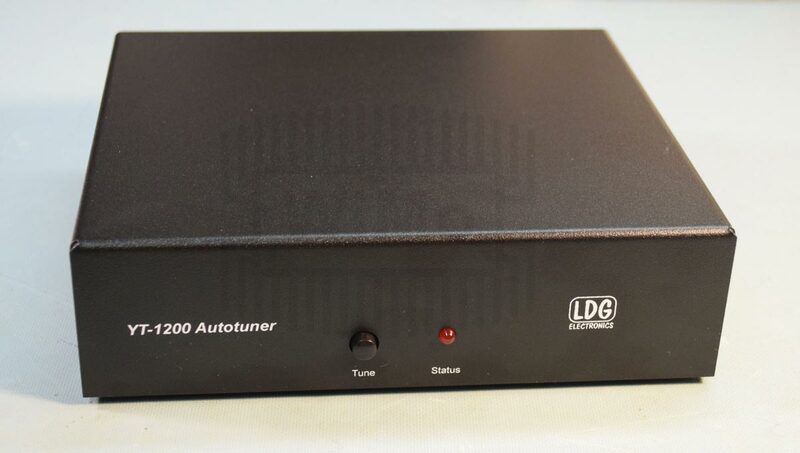 The LDG AT-100Pro2 and AT-200pro2 are desktop tuners which cover all frequencies from 1.8 � 54 MHz, and will automatically match your antenna in no time. It features a two-position antenna switch, allowing you to switch instantly between two antennas. The AT-100Pro2 requires just 1 watt to operation (5W for AT-200pro2), but will handle up to 125 watts, making it suitable for everything from QRP up to a typical 100 watt transceiver. The AT-200pro2 handles up to 200W on HF, max. 100W on 6m, minimum tuning power for the AT-200pro2 is 5W. Power requirements: 11 to 16 volts DC at 500 mA max., dimensions: AT-100pro2 19 x 14 x 5 cm. AT-200pro2: 22 x 15,5 x 5cm, Weight: 0,8 Kg. A DC power cable is included. The LDG AT-600Pro2 closes the gap for mid-range power levels. 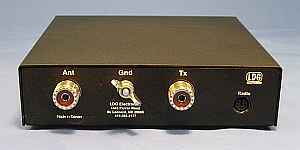 The tuner allows a maximum power on shortwave (1.8 to 30MHz) of 600W in SSB and CW, max. 300W in RTTY. On 6m (50 to 54MHz) a maximum power of 250W is possible. 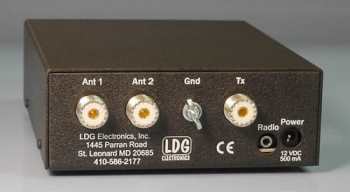 The AT-600Pro2 uses the proven LDG switched L network, controlled by a micro processor. This results in automatic tuning within a few seconds. The matching ranges from 6 to 800Ω on shortwave (16 to 150Ω on 6m). This corresponds to an SWR of approx 10:1 which is transformed to approx. 1.5:1. Optional control cables are also availble. But please note that the automatic tune function, which these cable offer can lead to accidental tuning with high power, possibly destroying your amplifier or tuner. Always tune with low power! The Z-100PLUS is an automatic antenna tuner useable for 1.8 to 54 MHz, for any transceiver with 0.1 to 125 Watt power SSB/CW (100W FM, 30W on 6m). 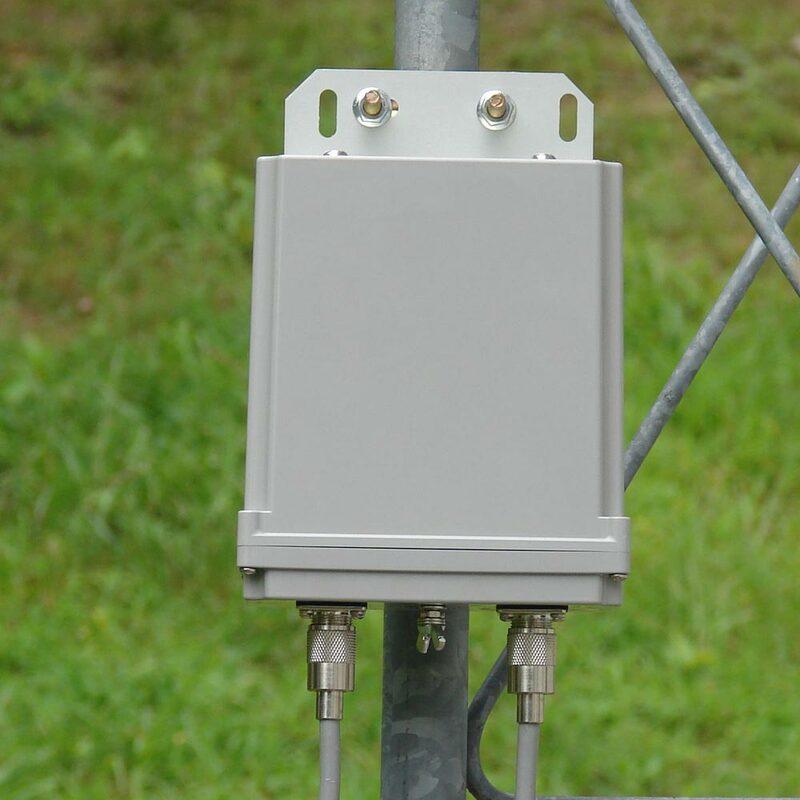 The tuner is suitable for any unsymmetrically fed antenna (i.e. Beams, Dipoles, Groundplanes etc.). If the matching range is not sufficient, a 4:1 balun (symmetrical) or a MTFT balun (unsymmetrical) can be used (not included). New The M-1000 is intended for the AT-1000Pro2 and offers a beautiful and easy to read analog instrument. It shows the most important data at a glance. The power range is selectable between 100 and 1000W, the instrument shows either forward or reflected power or SWR. The power display can be switched between average and peak value.